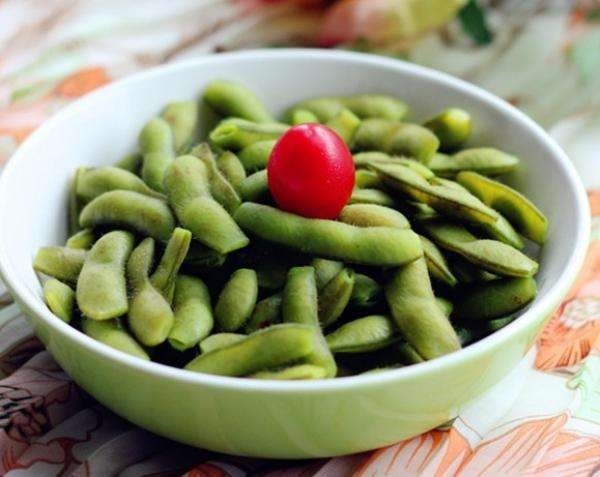 Our company has a very high requirement for quick-frozen technology of edamame . Before quick-frozen put into production, the parts should be cleaned and disinfected, and then start-up. 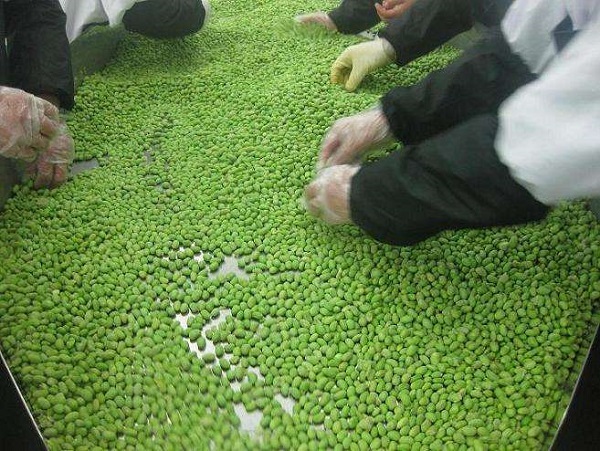 First, the frozen zone is pre-cooled below 25 degrees Celsius, then the treated edamame are sent from the lifting conveyor belt into the shaking screen bed to drain water and the raw materials are dispersed into the conveyor belt in the freezing zone, then cooled and frozen through the evaporator. As strong cold air blows from the mesh to the edamame and floats the Beanstalk away from each other, the monomer material is surrounded by cold air. As the mesh advances, the beans creep forward and freeze, freezing temperature is controlled at 20-25 degrees Celsius. 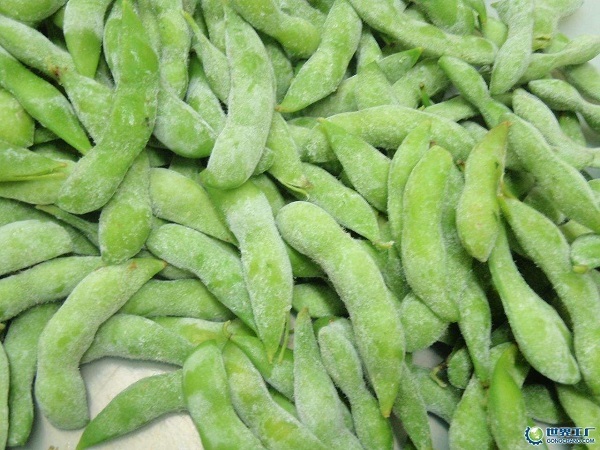 The freezing time is 8-10 minutes, so that the center temperature of the edamame is below 18 degrees Celsius. After freezing, the frozen goods from the outlet chute continuously out of the machine, fell to the belt conveyor, into 5 degrees Celsius low-temperature packaging workshop, and then into the next process. Usually stop every 7 hours and defrost with cooling water once. 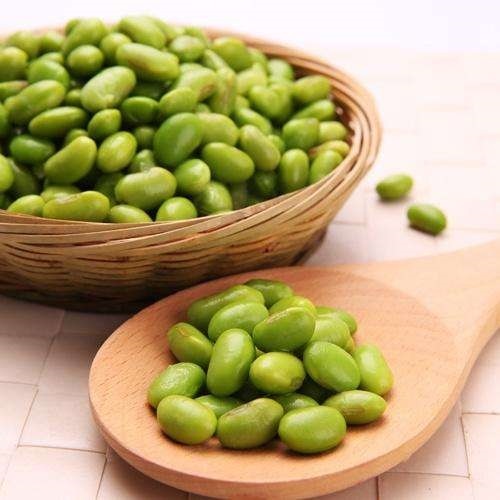 Looking for ideal Frozen Green Edamame Health Manufacturer & supplier ? We have a wide selection at great prices to help you get creative. 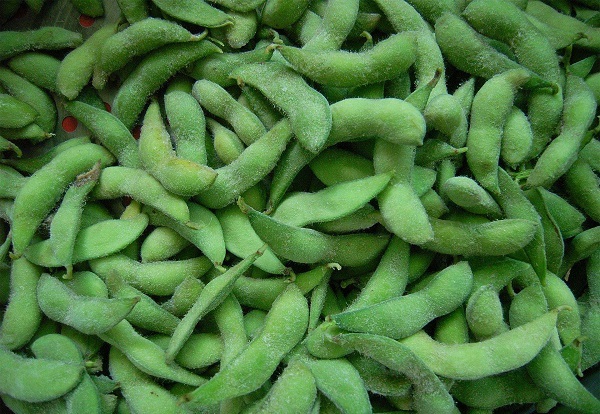 All the Organic Frozen Green Edamame are quality guaranteed. 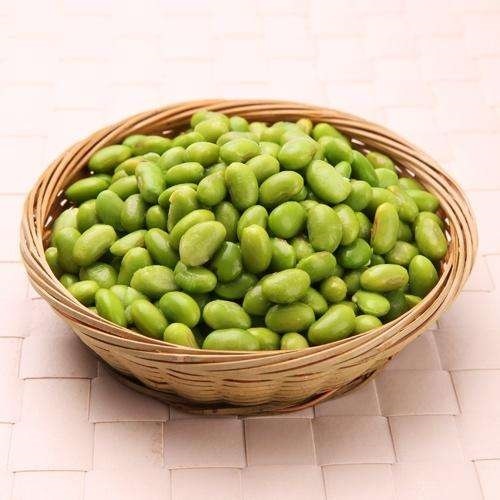 We are China Origin Factory of Benefits of Frozen Green Edamame. If you have any question, please feel free to contact us.